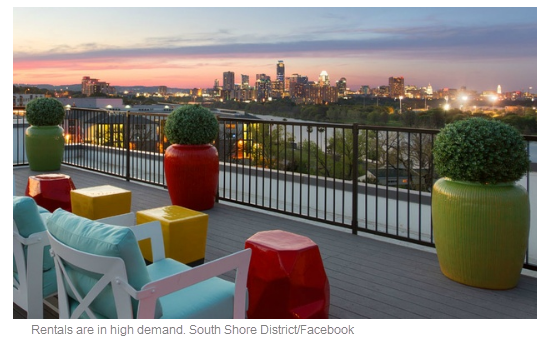 ​​AUSTIN – The Austin rental market is in high demand, and that's not going to change anytime soon. A new report from online real estate investment firm HomeUnion has named Austin one of the most desirable rental markets in the U.S. for 2017. Austin is No. 9 on the report's ranking of highest demand markets, which means it boasts some of the strongest supply and demand fundamentals in the nation. "An influx of millennial job-seekers drawn to the low cost of living compared to coastal markets, combined with growth in internet and technology sector jobs, make Austin one of the most desirable metros for renters," says Steve Hovland, director of research at HomeUnion, in a release. Rents are expected to grow to $1,735 per month, up 2 percent from 2016. Austin's year-over-year employment growth is projected at 3.6 percent, much higher than the national growth of 1.7 percent.